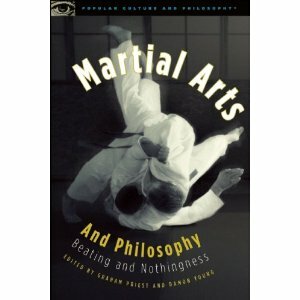 Martial Arts and Philosophy contains a chapter on chivalry and martial arts by Scott Farrell. Sounds like the beginning of a very strange joke, doesn’t it? But the fact is, that could well be the premise for one of the chapters in the forthcoming book, Martial Arts and Philosophy, which will be published by Open Court Press as part of its extremely popular Pop Culture and Philosophy series. The chapter, entitled Sir Aristotle And The Code Of Chivalry, uses the practice of Western martial arts – the “schools of defense” taught in medieval Europe – as a means of exploring the philosophy of chivalry and seeing how it compares with Aristotle’s virtue ethics and the spiritual doctrines of C.S. Lewis. The chapter will stand alongside several that use traditional Eastern martial arts, like karate, kung fu and ju-jitsu, as a means of exploring other aspects of philosophy. If you’re a regular listener of the Chivalry Today Podcast, you may already be a fan of the Pop Culture and Philosophy series. In Episode 24, host Scott Farrell talked with Prof. Gary Hardcastle, editor of the volume Monty Python and Philosophy about how the iconic movie Monty Python and the Holy Grail reflects modern notions of the code of chivalry. Martial Arts And Philosophy is edited by acclaimed philosopher Damon Young, himself an avid martial artist and author of the blog Darkly Wise, Rudely Great – Prof. Young’s piece The Strength of Civility also appears on the Chivalry Today website. We’re looking forward to having Prof. as an interview guest on the Podcast in Season Five, so listeners can enjoy hearing him and Scott compare notes on chivalry, martial arts and the larger topic of philosophy. Until then, we hope you’ll take the opportunity to pre-order Martial Arts and Philosophy today!